Wellington Gordon built Kenmuir, located in the Green Springs Historical Landmark District of Louisa County, Virginia in 1853. 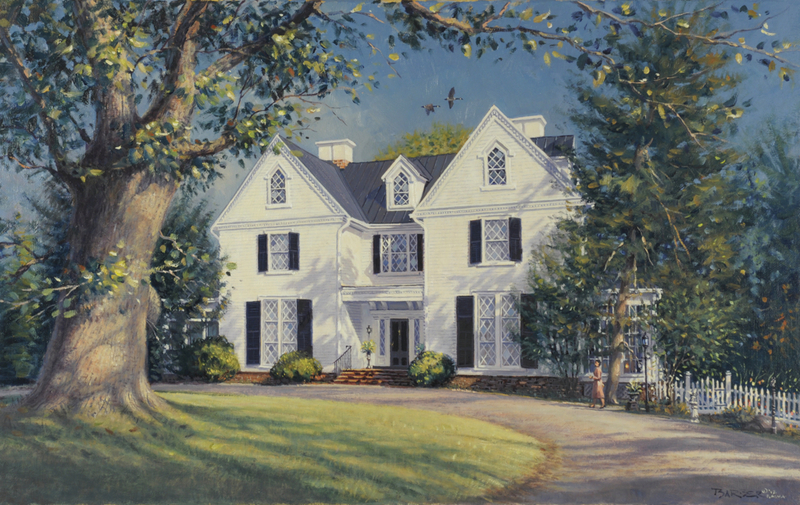 He was a son of the Gordon family who lived at Kenmore Plantation near Fredericksburg. 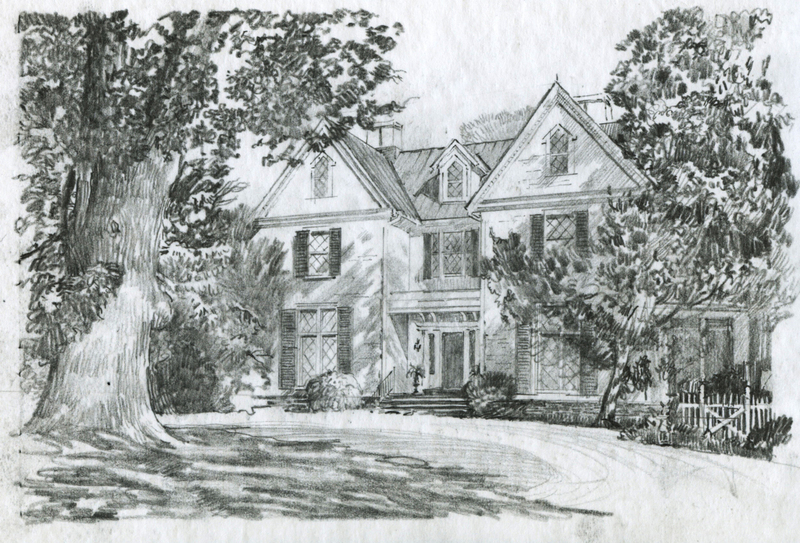 Gordon named his home Kenmuir after his family’s ancestral castle in Scotland. This Victorian house has Gothic motifs of double front gables and diamond pane windows on all three levels in the front. The original house on the site, built in the 1770’s, has been preserved and stands behind Kenmuir. 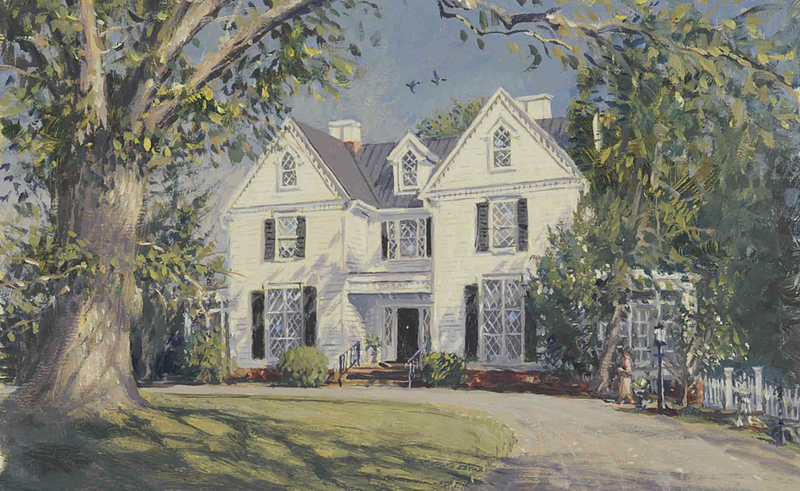 Shortly after completing his new home, Gordon used it as the site of his Green Springs Academy, a school to prepare boys for admission to the nearby University of Virginia. Now privately owned, Kenmuir is on the National Register of Historic Places. Oil on linen canvas 14″ x 22″. Private collection.